Positive Booklist ...[a] spellbinding fictionalized take on the now-infamous Harvard Psilocybin Project, which Leary began in 1960 ... Cameos by Allen Ginsberg, Ram Dass, and Ken Kesey further capture the time period, while Boyle’s trenchant cultural observations slyly depict how establishment gives way to antiestablishment in this engrossing, mind-expanding trip ... Boyle’s latest work of countercultural, biographical fiction will lure his devotees and the newly curious alike. Rave Booklist Scibona’s lyrical yet muscular prose anchors this majestic work as he probes deep philosophical questions about family, identity, belonging, and sacrifice ... Scibona’s greatest strength is his ability to inhabit each character with profound psychological depth to explore their guilt, doubt, and humanity. This novel rewards close reading and deserves wide readership. Positive Booklist Mathews demonstrates in these stories an uncanny ability to inhabit characters with just a few well-crafted sentences. A master impersonator, Mathews employs a variety of voices, capturing the subtle nuances of dialect and pop lingo to explore with psychological acuity the doubt and insecurities that plague these varied individuals ... Mathews excels at portraying the emotional pain felt by those without a clear place in the world and the universality of self-doubt. The versatility of literary techniques shows a writer in the process of sharpening his unique voice. Positive Booklist The narrative heats up as Humes uncovers the inherently flawed, self-regulating process in which forensic labs are under the jurisdiction of law enforcement ... In this riveting overview of forensic science, Humes goes on to note that similar longstanding \'evidence,\' including fingerprints and bite-mark analysis, are of equally dubious merit, relying more on opinion than science. Hume’s fascinating account is perfect for the many readers interested in crime-scene investigation. Rave Booklist The once-scenic Dutch elm–lined main streets of the Hamptons serve as both a reminder of a more genteel time and an omen of things to come in Henderson’s keenly observed and skillfully structured historical novel ... As Henderson subtly and cleverly ratchets up the suspense, she presents a richly textured exploration of class and society filtered through the lenses of several characters whose lives are thrown off course ... For readers of Richard Russo and Elizabeth Strout. Positive Booklist Rich with symbolism and recurring motifs, the story folds in on itself like origami. We learn that H has committed a crime, followed by her confession, and that she has been both victim and witness to acts of state-sponsored violence, yet is able to find hope amid the wreckage. 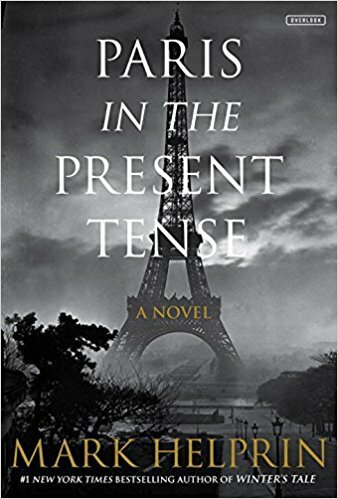 Although the letter \'H\' is often silent, this thought-provoking novel charting the aching distance between the heart and tongue gives voice to the mutability and resilience of the human spirit. Positive Booklist Online Itinerant car thief Troy Falconer has little need of possessions, yet his rootless existence consists of stealing clothes out of the seedy Texas motel rooms of similarly sized men before absconding in the victim’s car. 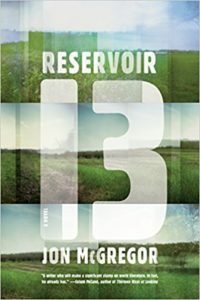 When Troy and his reticent, bighearted brother, Harlan, set out on an ill-fated car trip across the Panhandle in late 1972, hoping to locate Harlan’s scheming wife, who has skipped town with his life savings, they inadvertently kidnap an 11-year-old Mennonite girl who is in the back of the stolen station wagon ... This deceptively polished confessional imbues the three-dimensional characters with humor, cynicism, and considerable pathos in artful contrast to the moonlike landscape of West Texas. Positive Booklist Online The fifth in Lock’s consistently excellent American Novel series follows army chaplain Robert Winter as he navigates the tumultuous mid-nineteenth century while serving in the Mexican War and, later, at the Mormon Rebellion. He has witnessed man’s inhumanity to man, and his faith is challenged, but he retains in his heart a tenderness for a young, spirited woman back in Amherst, Emily Dickinson ... 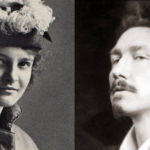 Although Emily does not return Robert’s affections, Lock skillfully hints at the exuberant and tempestuous mind that will produce hundreds of poems, most of which were not published until after her death. Positive Booklist One of our most visionary and fearless literary “equal opportunity offenders” is back with what is perhaps his darkest, most biting satire to date ... Palahniuk’s razor-sharp insights and boundless imagination are matched only by his ability to make even the most stomach-churning scenes somehow vividly entertaining. Rave Booklist This tender bildungsroman follows Mike from one setback to another, each interaction involving slyly observant and brilliantly witty dialogue that also poignantly conveys vulnerability. 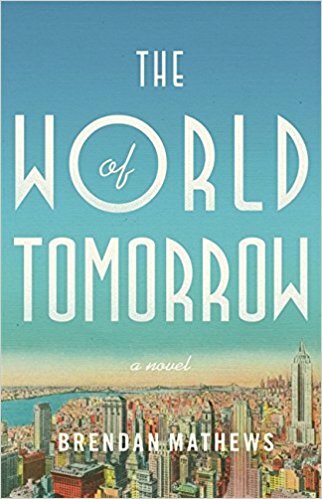 Evison skillfully weaves the American Dream into a subtle social novel to illustrate how race and class can thwart aspiration. In his bighearted portrayal of Mike Muñoz, Evison has created an indelible human spirit content to live authentically, which just might prove to be the true American dream. For readers of Sam Lipsyte and Jonathan Tropper. Positive Booklist ...[a] bleak yet emotionally authentic chronicle ... Resplendent descriptions and quick-witted dialogue serve as necessary counterpoint to visceral depictions of violence. The titular libation is both the catalyst of the destruction wrought by each family member and the balm with which each seeks reprieval from pain. 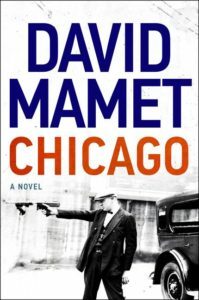 Rave Booklist Mamet offers a master class on dialogue as the witty repartee and newsroom banter mimic the syncopated pop of the infamous tommy gun while adding rich visual texture. The prose is economical yet lustrous, perfectly capturing a time when facility with language was prized. In brilliantly staged vignettes, reporters and cops share stories peppered with humorous anecdotes about unfortunate souls. As Hodges unravels the mystery surrounding Annie’s death, leading him deeper into the underbelly of greed and power, his journey offers subtle commentary on class, religion, race, and politics. Rave Booklist McGregor masterfully employs a free, indirect style that forgoes quotation marks and seamlessly blends narrative, dialogue, and wonderfully observant, poetic musings. McGregor excels at breathing life into characters with brief phrases or quotes that add up to deep, three-dimensional creations. Longlisted for the Man Booker, McGregor’s novel’s subtly devastating impact ultimately imparts wisdom about the tenuous and priceless gift of life. For fans of Elizabeth Strout and Richard Russo. Rave Booklist As everything rolls toward an adrenaline-fueled finale, Mathews brilliantly creates characters who embody the esprit de corps of immigrants and movingly explores themes of class, society, race, and family. For fans of Michael Chabon and E. L. Doctorow.